The Baltic countries of Estonia, Latvia and Lithuania weren’t even on the map when you were growing up. Since gaining independence and stepping out of the shadow of the Soviet Union, these beautiful Northern European countries have enjoyed a true renaissance. And for a good reason: the Baltic region is a land of unique beauty and medieval charm. This tour will include not only the spellbinding Baltic coast, but also the vibrant Baltic capitals, each with a unique style: the medieval city of Tallinn, Estonia, the lovely port city of Riga, Latvia, with its seaside ambiance and impressive Art Nouveau architecture, and the glorious Vilnius, Lithuania, with its picture-postcard Baroque Old Town. 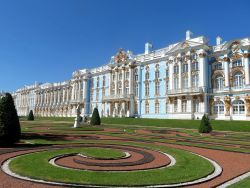 We may also be adding an optional tour extension to St. Petersburg, Russia and/or Helsinki, Finland. 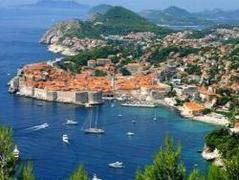 Discover the Pearls of the Adriatic: the white marble Dubrovnik, facing the sea and surrounded by formidable walls, Split with Emperor's Diocletian Palace and the medieval Trogir. Make silk with local women, visit the lavender covered island of Hvar, stroll among the blue-green terraced Plitvice lakes and waterfalls and sail among the lemon-scented Adriatic islands with tiny, red-roofed villages spilling to the sea. Experience the spa culture of Budapest, the champagne night-time cruise on the Danube and the mighty Buda Castle. Then travel to Vienna, immersed in the Old World elegance, Viennese pastries and coffee, Mozart and waltz music and the mighty Danube weaving through it all. 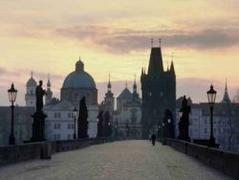 End the tour with the dreamy cityscape of Prague's winding lanes, stone bridges and delicate spires, set in the legendary Bohemia. Enjoy the best in classical music, Art Nouveau architecture, and the Black Light Theatre. THIS TOUR IS FULL. WE ARE ACCEPTING STANDBY RESERVATIONS. 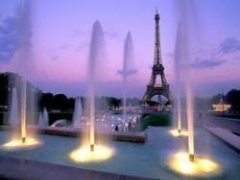 Fall in love with Paris, the City of Light, as you visit the Notre Dame, Louvre and Versailles. 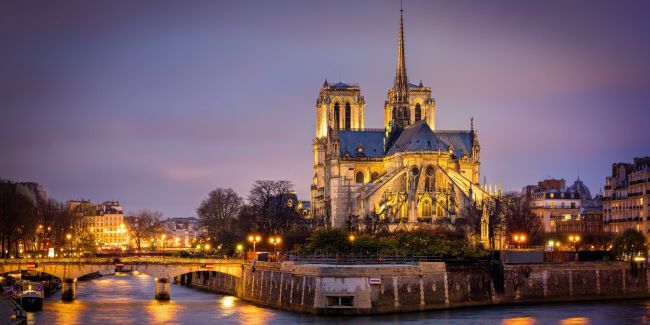 Take a cruise on the Seine and a culinary gourmet walk through the Left Bank, then live it up with dinner atop the Eiffel Tower. Then travel to a luxury villa in Provence and visit Avignon, Arles, Aix-en-Provence, Pont du Gard, Provencal villages and vineyards. Take a wine appreciation class and a private cooking lesson. Beneath Germany's facade of efficiency is a land of originality and charm. During this special tour, we’ll step behind the stereotypes, as we fall under the spell of the medieval fairy tales, enchanted forests, storybook castles, and artistic movements. 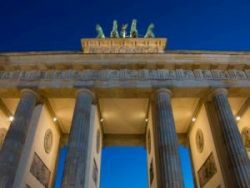 We’ll discover crossroads of ideas and styles, we’ll experience the dramatic history of Berlin, be awed by the Gothic architecture of Cologne and Aachen, and explore the raw imagery and sharp lines of Industrial Germany and the start of the steel barons. We’ll journey through the magical world, where Brothers Grimm fairy tales of the Sleeping Beauty, Snow White, Rapunzel and the Pied Piper blur into today’s reality. 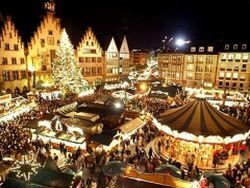 Experience the true Old World charm and heart-warming Christmas traditions, as you explore the Advent markets held in towns and villages throughtout Germany. Visit the medieval Munich, historic Nuremburg and dreamy Rothenburg as you enjoy the romance of train travel, history, food, music and fairytale snowy landscapes. 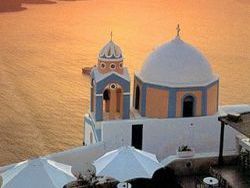 Encounter history where it was made while enjoying the paradise surroundings of the Aegean Sea. Tour the Acropolis, the Agora and the ancient temples of Athens. Then, sail on a private yacht and walk on the volcano of the mythical Atlantis, as you enjoy the black sand, the azure seas and the spectacular sunsets of Santorini. From your base at a luxury resort, discover the Minoan civilizations, the beaches, foods and wines of Crete. 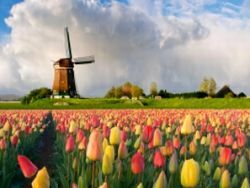 Fall under the spell of the glorious Dutch springtime, with colorful carpets of tulips and imaginative flower displays, beautiful cathedrals in fairytale medieval cities, windmills set in green, lush countryside, and the romantic canals lined with traditional houses. View magnificent art collections of Amsterdam, cutting-edge architecture of Rotterdam and Delft pottery, taste local cheesaaes and chocolate and discover the uncommon beauty and the history of the Netherlands. 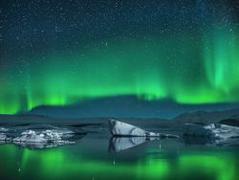 Enjoy hip Reykjavík with its vibrant music scene and the relaxed Nordic city of Akureyri, the beautiful Blue Lagoon, puffins and whales, boiling mud pools, spurting geysers, black sand beaches, volcanos, glaciers and countless waterfalls in this Northern adventure playground and geological marvel. 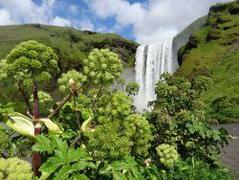 Iceland's breathtaking landscape is an inspiration to artists and photographers and it spells its magic with pure, unpolluted and truly magical landscapes. 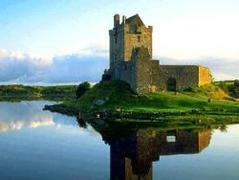 Steeped in the mist of history and woven into a rich tapestry of arts and literature, Ireland offers magnificent landscapes of vibrant mossy hills and dramatic coast strewn with castles, prehistoric monuments and manor houses, as well as a fascinating Celtic heritage. Follow in the footsteps of Irish writers in Dublin, see the wind-swept Cliffs of Moher, the rock-encrusted Burren, the translucent Killarney lakes, the spectacular Ring of Kerry seascapes, then join in a singalong in a local pub. 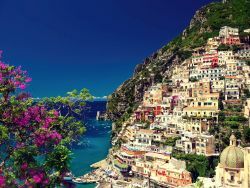 Dramatically beautiful, wild, daring and romantic, the Amalfi Coast defines an Italian luxury escape. Marvel at the dramatic Amalfi coastline with aquamarine waters, steep cliffs and lemon groves below the Vesuvius, tour Pompeii and Naples and the romantic island of Capri. Take a cooking class in the unique setting of Ravello, walk through the fragrant gardens of Positano, suspended over the sparkling sea, tour the Greek temples in Paestum, and take a private boat tour of secluded beaches, coves and grottoes of the Sorrento Peninsula. Enjoy the city of the Caesars and la dolce vita, long sunny days, endless art galleries, fountain-splashed piazzas, flower markets and gelato. 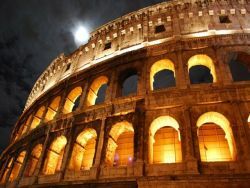 Tour the ancient monuments of the Roman Empire, explore cobbled medieval streets and Renaissance domes set the stage for great wine bars, fabulous dining, sidewalk cafes and uncomparable shopping. Take insightful tours of the Vatican, Galleria and Villa Borghese and Emperor Hadrian's villa in Tivoli. In many ways, Sicily is the ultimate Italy. 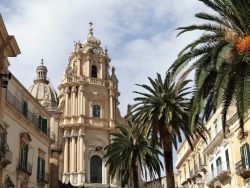 Rich in art, archaeological treasures, history, creative cuisine and the breathtaking Mediterranean scenery, the island has been the crossroads between Europe and Africa for centuries. Sicily is warm, golden, and sprinkled with blindingly white Greek temples. This is where Archimedes taught, St. Paul preached and where the omnipresent Mount Etna made history. 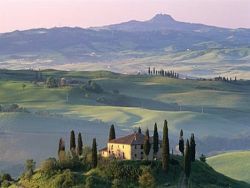 Spend an idyllic vacation in Tuscany, as you discover the glorious towns of Siena, Florence, Cortona and San Gimignano. Enjoy the sun, the verdant hills covered in vineyards, the wines and the amazing food. Stay in a lovingly restored luxury Tuscan villa in the Chianti hills, attend a private Tuscan cooking class and spend your days marveling at countless art treasures, perfect vistas and the unique magic of Tuscany. We'll see La Scala and the Last Supper in the uber-chic Milan, relax at the romantic Lake Como with Bellagio, opulent villas, tropical gardens and the majestic Alps, visit Juliet's house in Verona and fall in love with the magical Venice: the mysterious canals filled with gondolas, Piazza San Marco, Doges' Palace, the Bridge of Sighs, sumptuous palazzos along the Grand Canal, La Fenice and the glorious Venetian art. 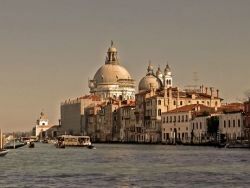 We'll marvel at stories of forbidden love as you ride the gondola, listen to Vivaldi or watch Murano artisans produce glass masterpieces. Explore the vast stretches of serene, yet exhilarating landscapes, from the deep, blue-black fjords and rearing snowy peaks to jagged forested hills, from the seemingly limitless expanse of the Arctic tundra to the plunging river valleys. These grand scale landscapes are dotted with cosmopolitan cities and amiable small towns which exemplify the Scandinavian sophistication in architecture, design and the flair for living in one with nature. The essence of Norway’s appeal is remarkably simple: this is one of the most beautiful countries on earth, the ultimate nature-lover’s paradise. The Winter Tour to Norway features the Northern Lights, reindeer sledding and a stay at the ice hotel. Explore the vast stretches of serene, yet exhilarating landscapes, from the deep, blue-black fjords and rearing snowy peaks to jagged forested hills, from the seemingly limitless expanse of the Arctic tundra to the plunging river valleys. These grand scale landscapes are dotted with cosmopolitan cities and amiable small towns which exemplify the Scandinavian sophistication in architecture, design and the flair for living in one with nature. 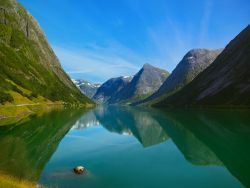 The essence of Norway’s appeal is remarkably simple: this is one of the most beautiful countries on earth, the ultimate nature-lover’s paradise. Delight in the unique blend of "fairytale come alive" scenery, warm and passionate locals and the ever-present sense of history. Visit Renaissance palaces and medieval castles, attend Chopin's piano recital and Klezmer music concert, enjoy world-class art, the underground salt mine and the communism utopia tour, the spectacular Tatra Mountains, colorful Highlander culture and excellent cuisine. Enjoy the magical landscapes of glorious beaches rimmed with golden cliffs, Moorish fortresses and Knights Templar castles, fairytale walled towns, baroque palaces and fantastical Manueline architecture. 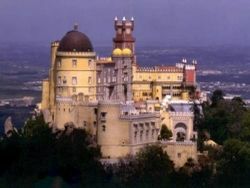 Attend a fado music performance, paint ceramic tiles following the Moorish patterns, visit Fatima and Sintra, and indulge in amazing Portuguese seafood and wines. Nothing will ever quite prepare you for the imperial grandeur, glitz and glamour of Saint Petersburg, and this tour will introduce us to some of the most revered cultural and historical landmarks of the city: the Faberge Museum, the "Russian Versailles" of Peterhof Palace, the royal residence of Catherine Palace with its Gardens in Tsarskoe Selo, the incomparable Hermitage Museum and Winter Palace, a cruise on the canals that have earned Saint Petersburg the moniker "Venice of the North", and to top it all, a Russian ballet performance at Mariinsky (Kirov) Theatre, proceeded by a private backstage tour. 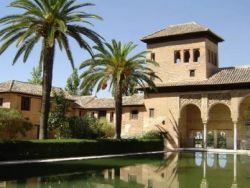 Explore the enchanted and culturally diverse Spain as you tour the architecturally stunning Barcelona, the artistic and royal Madrid and the perfectly medieval Toledo. Then relax on the achingly beautiful Mediterranean beaches of Costa del Sol, give in to the drama of flamenco, the Andalucian white towns, the Moorish architecture of the Alhambra Palace in Granada. Beyond cheese, chocolate and cuckoo clocks, lies the contemporary Switzerland, land of four languages, once-in-a-lifetime journeys, heart-racing Alpine pursuits and tantalizing urban culture. 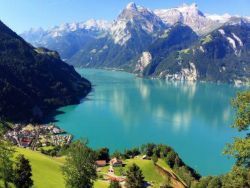 Switzerland offers ravishing landscapes of green pastures, hiking trails, views of glacier-encrusted Alps, glittering lake shores and pea-green vineyards. But it also has an urban edge: Bern’s medieval old town and world-class modern art, deeply Germanic Basel and its bold architecture, chic Geneva on Europe’s largest lake, and uber-cool ZUrich. Traveling through Switzerland is mapped by castles and craft beer, new-wave restaurants and relaxed waterfront bars with Alpine views, mountain chalets brightened with red geraniums, folk fairs, and the alp-horn concerts, while the celebration of gooey cheese, velvety chocolate, and air-dried meats provide a flavorful culinary background, spiced with the unexpected encounters with modern aesthetics, contemporary art and fresh-faced design. 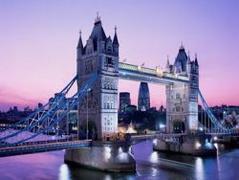 Enjoy the urban chic of London, sprinkled with the magic of royalty, art and gardens. See a West End theatre play, ride on the London Eye, tour the Tower of London, the British Museum, and take the Thames River cruise. Then venture to the picture perfect Cotswolds, discover the hidden Oxford, look for Jane Austen's heritage in Bath and visit the prehistoric Stonehenge. Find Scotland's magic, a you explore Edinburgh, tour castles, palaces and villages, lost in time, enjoy the rugged beauty of the Highlands, and learn about the legacy of its clans. 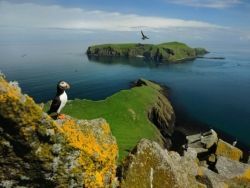 Discover the mysterious prehistoric sites in the Orkney Islands, take and easy hike in the historic Glencoe, cruise on Loch Ness, ride the Jacobite Steam Train and enjoy a full-day excursion of the evocative Isle of Skye. Stay at a lovingly restored manor house and then in a small hotel on the water's edge of Loch Linne. Enjoy freshly shucked oysters, the Aberdeen Angus beef, the smoked salmon from Dumfries & Galloway, and the peerless malt whiskies. Find Scotland's magic, as you explore Edinburgh, tour castles, palaces and villages, lost in time, enjoy the rugged beauty of the Highlands, and learn about the legacy of its clans. Discover the mysterious prehistoric sites in the Orkney Islands, take and easy hike in the historic Glencoe, cruise on Loch Ness, ride the Jacobite Steam Train and enjoy a full-day excursion of the evocative Isle of Skye. Stay at a lovingly restored manor house and then in a small hotel on the water's edge of Loch Linne. Enjoy freshly shucked oysters, the Aberdeen Angus beef, the smoked salmon from Dumfries & Galloway, and the peerless malt whiskies.